WIGS FOR FEMALE HAIR LOSS. 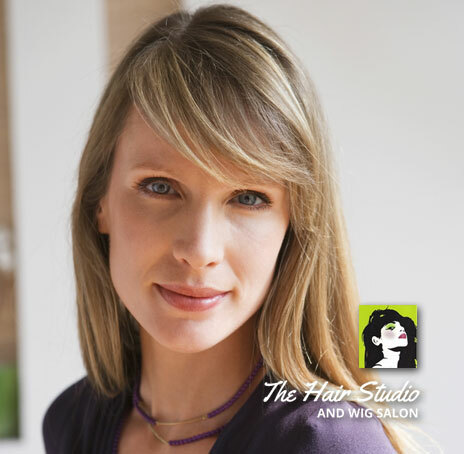 There are a number of solutions available for specific types of female hair loss and styling needs, and speaking with a North Shore Wigs Specialist is the best way to decide which hair restoration option is the best for you. Beautiful human hair wigs are a popular option for a fresh look even among women without hair loss as an enjoyable and personalized way to choose styles and colors that really reflect their individuality and personal taste and style. Worn as early as ancient Egypt, wigs have held a variety of roles over the centuries from sun protection in cultures that kept their heads shaved and hair loss compensation to fashion statements and symbols of wealth and distinction. Even today, many celebrities are revered for the fabulous looks they sport in roles they play which can be directly attributed to the beautiful, natural looking women’s wigs they wear in front of the camera and in real life. Not all women’s wigs are created equal, however. Bad wigs that are poorly designed, cheaply constructed, hot, and uncomfortable have given women’s wigs, over the years, a really bad name. Our beautiful line of Jon Renau women’s wigs and our award winning Dimples human hair wigs for women, have an enviable reputation for meeting the needs of women with thinning hair or hair loss due to alopecia, trichotillomania, or other medically related causes of female hair loss. As a female hair loss solution, or just as a way to change up your style, these beautiful women’s wigs are not only effective as a women’s hair replacement solution, but they make hair fun again! All of our 100% natural human hair wigs come without a style and can be individually colored, and styled to your own particular desires desires and goals, perfectly highlighting your face, lifestyle and personal preferences. At our North Shore Women’s Wigs salon, Wigs by Sylvia has the most experienced women’s wigs stylists in the Boston North Shore area. Female hair loss can be frustrating, and our experienced wig stylists will ensure that your wig is perfectly styled and looks great on you. We will also carefully show you how to care for your new wig so it stays looking fantastic for years to come. Our Jon Renau wigs are amazing, as well as our virgin European human hair wigs from Dimples and Follea. Regardless of which wig you choose, a private wig consultation at our North Shore Women’s Wigs salon in Saugus, Massachusetts can help you decide which wig is right for you. If you are looking for a quick way to change up your hair style, or maybe your hair is thinning, or perhaps you have total hair loss. There are many reasons why you would want to select a wig. Just as many reasons as there are shades and styles. Let us help answer some of your question that you may have. Your first step would be a complimentary consultation. It will take place in a private room with a hair specialist. Their job will be to help you select the perfect wig. It doesn’t matter if you select a human hair wig or a synthetic wig. Many people enjoy the simplicity of wearing a wig to change up their look. Doctors and hospitals often refer patients for custom cut wigs that fit their unique hair loss issues. It can be medical like those undergoing Chemotherapy who others my have other reasons for their hair loss like alopecia, a common hair loss disorder, trichotillomania which is a disorder of pulling one’s own hair. Once you have a consultation with our North Shore Wigs Specialist, we can get a better sense of your lifestyle your expectations and will fit you with a wig that will work with your existing hair and your active lifestyle. There are basically two types of wigs to consider, Synthetic Wigs and Human Hair wigs. If you want the most natural looking hair then our North Shore women’s human hair wigs are your best bet. They do require more maintenance but the offer the option of cutting, styling, and highlighting/coloring. They also have a more expensive price tag but they do offer a lot options. Synthetic hair wigs have come a long way from those you may remember that your grandmother wore. There is simply no comparison to those old wigs that you used to see in department stores years ago. Synthetic wigs, however, cannot be re-colored, and since the hair is really a synthetic fiber, it retains a “memory” of it’s shape and style, which means that changing it up to another style isn’t going to work well. The color, hair thickness and texture are what makes a beautiful wig and something that continues to grow in popularity. More and more women are finding that they can put on a wig so quickly and get about their daily business and nobody, and I do mean nobody, will know that it isn’t their own natural growing hair. At Wigs by Sylvia in Saugus, Massachusetts, we have a complete line of custom and ready-to-wear women’s alopecia wigs. In fact, our selection of beautiful women’s wigs is second to none in the North Shore area. Please give us a call or fill out our online contact form to make an appointment to see for yourself what beautiful women’s wigs we have available in both ready-to-wear and custom wigs. If you are suffering from thinning hair, alopecia, or female hair loss, we are ready to help you gain back your confidence.